Thanks very much for the lovely review. We appreciate the trust you put in our team. Hope you enjoy the spaces for many years to come. Kind regards, Albert and the Mint team. Mint kitchens have been doing work for my self and my company for over 15 years . What an amazing review! Thanks so much Jose. 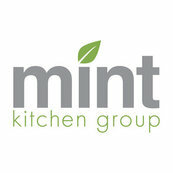 The Mint Kitchens Richmond team love working with you. Look forward to collaborating with you more in the future!